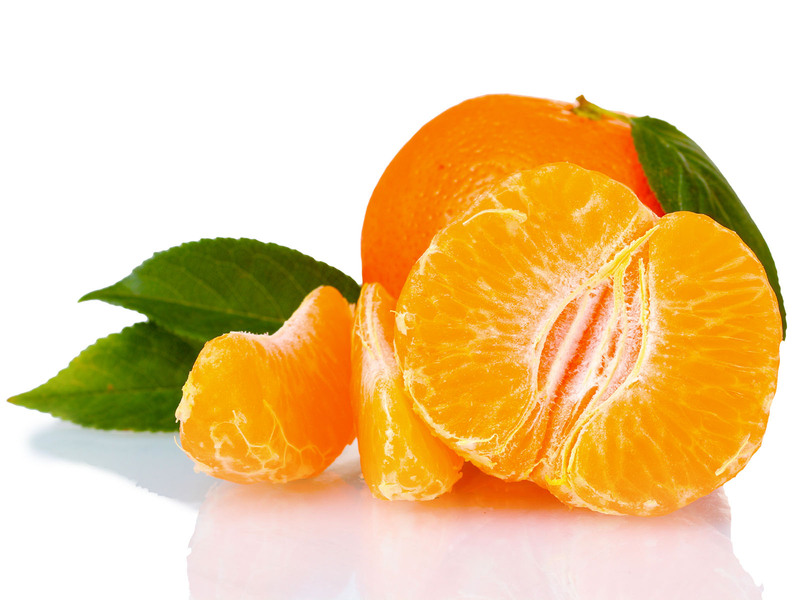 Mandarins contain more sugars than oranges; they have a high content of vitamin B as well as calcium and phosphorus. Mandarins peel is thin and it is easy to peel it off from the pulp. There are two main varieties: Common or Avana and Tardivo di Ciaculli. Common variety starts its maturation in mid-November. Fruits are round and flat at their poles; the peel has a dark orange colour; the pulp is very juicy. Tardivo di Ciaculli variety has similar characteristics as the previous one, but this one ripens later – March, April – and its fruits have a lower presence of seeds.